The O.C. premiered on August 5, 2003, a simpler time in which we had flip phones and layered t-shirts and the idiot in the White House didn’t have access to Twitter. Today it turns 15, so if it were a person, it too could learn what I learned as a high-schooler who treated The O.C. as gospel: everything on this show was a goddamn lie. Obviously, a fictional soap opera about rich kids living and loving in Newport Beach does not bode well for an accurate portrayal of high school, but when I watched the premiere 15 years ago, I was about to start ninth grade at a new, bigger school full of people who didn’t know me yet, and so to me, the adventures of a “bad boy” from Chino as he navigated an unfamiliar social circle offered up a lot of promise. I was fully aware that my high school experience probably wouldn’t include drama-filled trips to Tijuana, horrible mothers who slept with my ex-boyfriends, and Oliver, but I did think there’d be a couple Seth Cohens along the way. In fact, high school was 60 percent failing math tests, 30 percent secret crushes, and 10 percent waiting for the bus, and unlike Summer I did not magically get into Brown. So, to recap, The O.C. had hot rich dudes who surfed, wise-cracking hot dads who also surfed (Sandy Cohen 4ev), dads who did financial crimes, bad grandpas who married the wives of dads who did financial crimes, teens boning, moms boning teens, trips to Mexico, several dramatic deaths, secret daughters, potential pregnancies, teens who were really 27, a lot of chunky necklaces, Princess Sparkle, black-tie fundraisers, dads floating away forever on fancy boats, a lot of love triangles, Kaitlin, and Modest Mouse. My high school experience had math tests, no boning, and Modest Mouse, but on my iPod. Exactly 15 years ago today, I was misled. 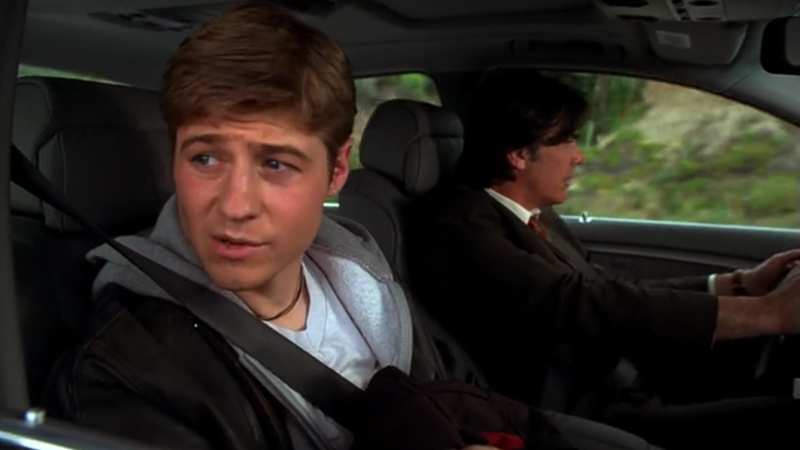 Happy Birthday, The O.C., which lives on in Hulu streaming form, should you care to relive the high school experience you probably never had. This New Mischa Barton Horror Movie About a Murderer With Multiple Personalities Is Just Split, Right?